Is your dog a pure pedigree, a 'designer breed', or just an old-fashioned mongrel? How big is your crossbreed puppy going to get? Did your rescue centre give you their best guess of what breeds of dog are in there? What behavioural traits are likely and what inherited health conditions is your dog at risk from? 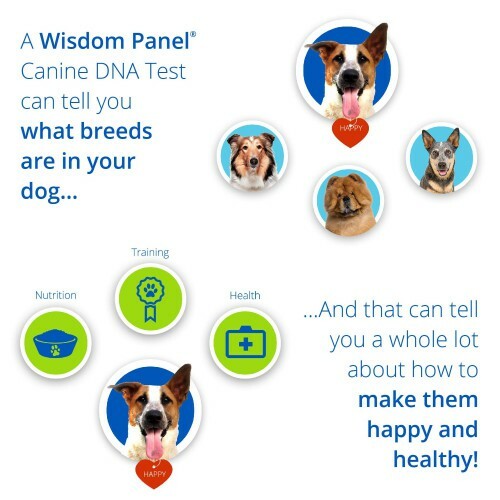 Your dog's behaviour and health result from a complex interaction of his genes and his environment. Finding out what's in his DNA can be a vital part of the puzzle! You love your dog regardless but ... who would not be curious and want to see their dog's family tree going back three generations? Now the entire canine genome has been sequenced an analysis of your dog's DNA could not be easier. No blood test or vet visit is necessary! 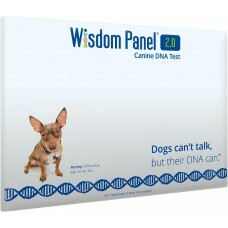 Just a swab inside your dog’s mouth then post it off to Wisdom Panel UK lab. You should receive the test results report approximately 3 weeks after submission. Once you have the results you can research the behavioural traits and veterinary risk factors of the breeds with more certainty. 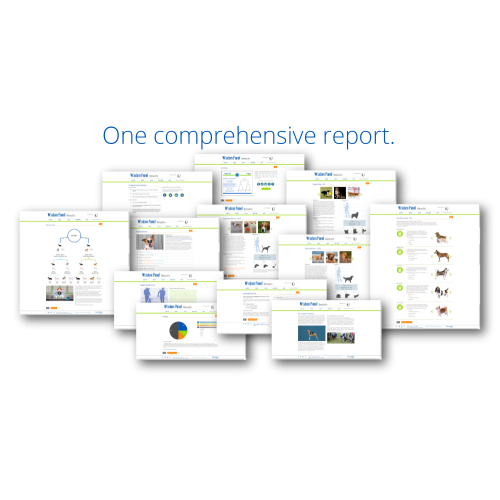 Over 350 different breeds are now covered by the DNA test! Tests on dogs from outside of the UK and Irland may not give accurate results since these breeds may not be well represented in DNA database used. Please check with us first if your dog is from a different country. We will only accept the return of test kits that are not activated and are unopened in their original packaging. 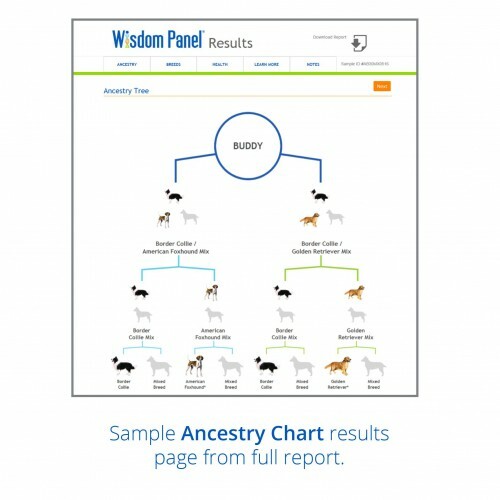 Discover your dog's ancestry today! 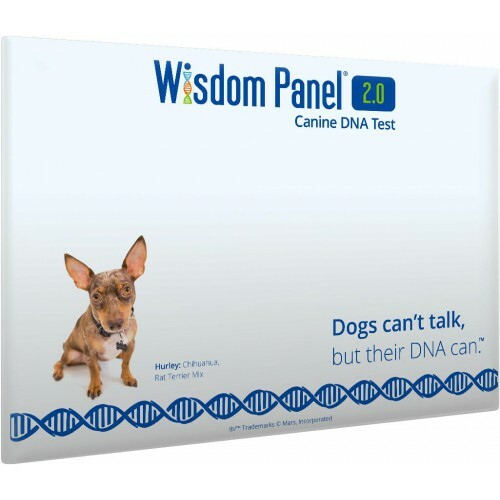 Rainbow Dogs is an Authorised Supplier of Wisdom Panel DNA tests.